Published Nov 2006 by IDW Publishing. Cover by Joe Corroney. Written by Mark L. Haynes and J. C. Vaughn. Art by Jean Diaz. Presenting a special six-part 24 Season One prequel! 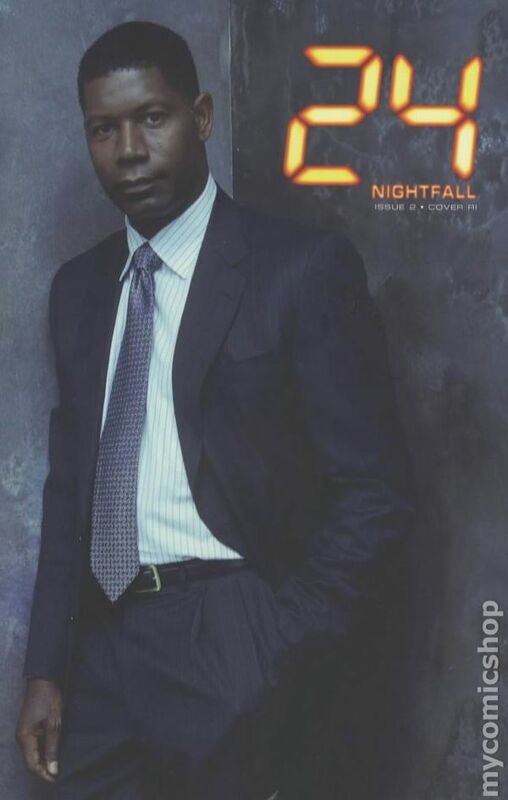 In 24: Nightfall, future CTU agent Jack Bauer heads an elite Special Forces team sent to take down the mass murderer, Victor Drazen. But events in the war-torn former Yugoslavia quickly spiral out of control as the hunters become the hunted. The secrets behind Bauer's pivotal Operation: Nightfall mission are revealed here! 32 pages, full color. Cover price $3.99. Cover by Jean Diaz. Written by Mark L. Haynes and J. C. Vaughn. Art by Jean Diaz. Presenting a special six-part 24 Season One prequel! In 24: Nightfall, future CTU agent Jack Bauer heads an elite Special Forces team sent to take down the mass murderer, Victor Drazen. But events in the war-torn former Yugoslavia quickly spiral out of control as the hunters become the hunted. The secrets behind Bauer's pivotal Operation: Nightfall mission are revealed here! 32 pages, full color. Cover price $3.99. Retailer Incentive Sketch Cover "R1-A" by Jean Diaz. Written by Mark L. Haynes and J. C. Vaughn. Art by Jean Diaz. Presenting a special six-part 24 Season One prequel! In 24: Nightfall, future CTU agent Jack Bauer heads an elite Special Forces team sent to take down the mass murderer, Victor Drazen. But events in the war-torn former Yugoslavia quickly spiral out of control as the hunters become the hunted. The secrets behind Bauer's pivotal Operation: Nightfall mission are revealed here. 32 pages, full color. Cover price $3.99. Retailer Incentive Sketch Cover by Joe Corroney. Written by Mark L. Haynes and J. C. Vaughn. Art by Jean Diaz. Presenting a special six-part 24 Season One prequel! In 24: Nightfall, future CTU agent Jack Bauer heads an elite Special Forces team sent to take down the mass murderer, Victor Drazen. But events in the war-torn former Yugoslavia quickly spiral out of control as the hunters become the hunted. The secrets behind Bauer's pivotal Operation: Nightfall mission are revealed here! 32 pages, full color. Cover price $3.99. Retailer Incentive Photo Cover. Written by Mark L. Haynes and J. C. Vaughn. Art by Jean Diaz. Presenting a special six-part 24 Season One prequel! In 24: Nightfall, future CTU agent Jack Bauer heads an elite Special Forces team sent to take down the mass murderer, Victor Drazen. But events in the war-torn former Yugoslavia quickly spiral out of control as the hunters become the hunted. The secrets behind Bauer's pivotal Operation: Nightfall mission are revealed here! 32 pages, full color. Cover price $3.99. Published Dec 2006 by IDW Publishing. Cover by Joe Corroney. 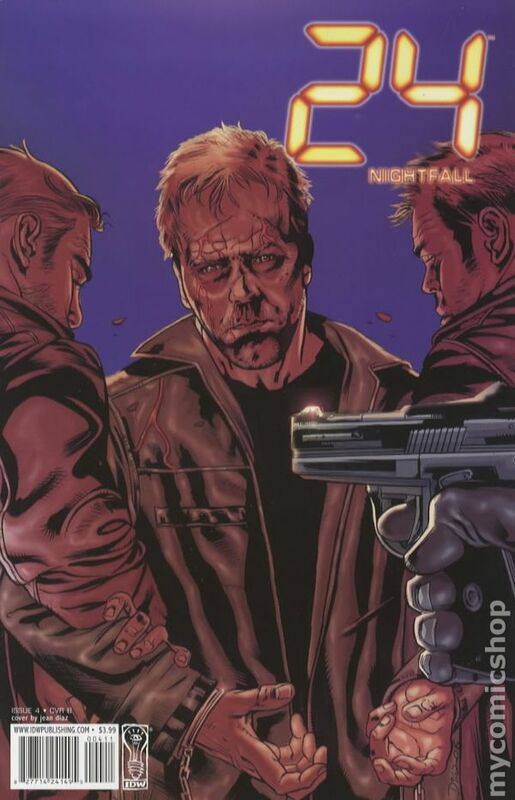 Written by Mark Haynes and J.C. Vaughn; art by Jean Diaz; The clock continues to tick for Jack Bauer in the second chapter of this all-new, five-part miniseries! 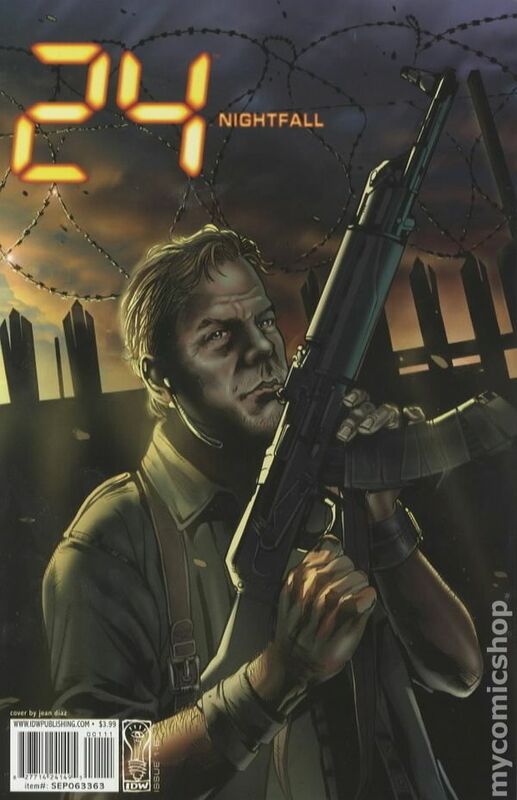 The mass murderer Victor Drazen was the target of Jack Bauer's elite Special Ops team, but now the hunters have become the hunted in a war-torn land in this dynamic prequel to Season One of the mega-hit Fox-TV series 24. 32 pages, full color. Cover price $3.99. Cover by Jean Diaz. 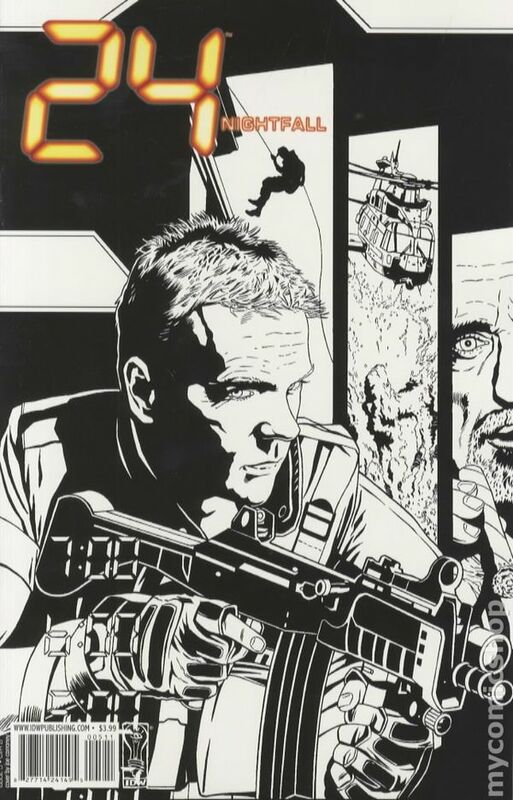 Written by Mark Haynes and J.C. Vaughn; art by Jean Diaz. The clock continues to tick for Jack Bauer in the second chapter of this all-new, five-part miniseries! The mass murderer Victor Drazen was the target of Jack Bauer's elite Special Ops team, but now the hunters have become the hunted in a war-torn land in this dynamic prequel to Season One of the mega-hit Fox-TV series 24. 32 pages, full color. Cover price $3.99. Retailer Incentive Photo Cover. 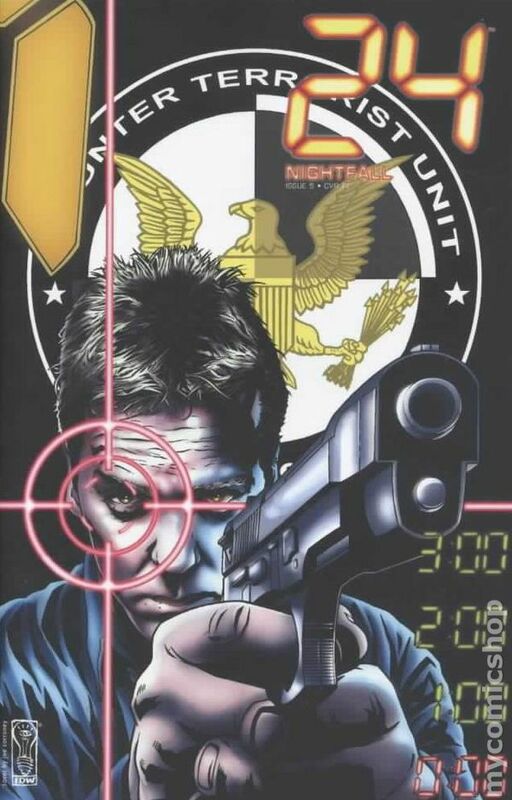 Written by Mark Haynes and J.C. Vaughn. art by Jean Diaz. 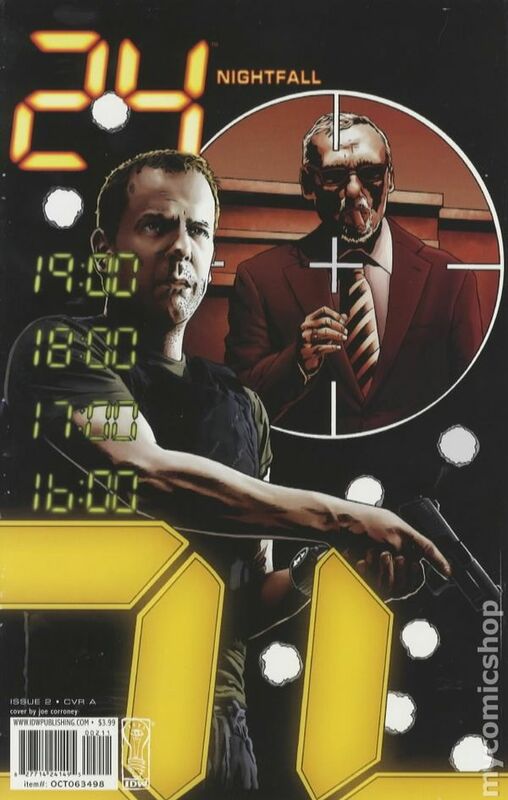 The clock continues to tick for Jack Bauer in the second chapter of this all-new, five-part miniseries! The mass murderer Victor Drazen was the target of Jack Bauer's elite Special Ops team, but now the hunters have become the hunted in a war-torn land in this dynamic prequel to Season One of the mega-hit Fox-TV series 24. 32 pages, full color. Cover price $3.99. Published Feb 2007 by IDW Publishing. Cover by Joe Corroney. Written by Mark L. Haynes and J. C. Vaughn. Art by Jean Diaz. 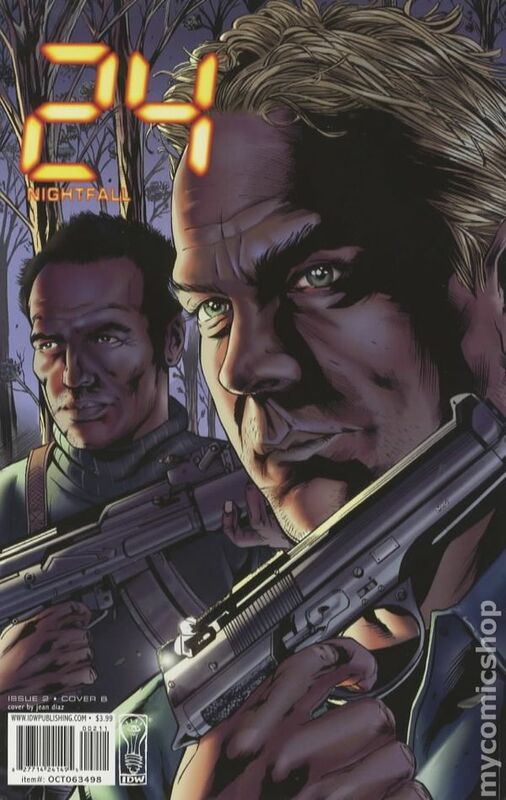 The first-ever 24 miniseries explaining Operation: Nightfall continues. Jack Bauer and his special ops unit were sent into Serbia to hunt down the mass murderer Victor Drazen, but now the team has become the targets. Can they complete their mission? Can they even escape alive? Find out in this original prequel mini-series based on the hit Fox series. 32 pages, full color. Cover price $3.99. Cover by Jean Diaz. Written by Mark L. Haynes and J. C. Vaughn. Art by Jean Diaz. 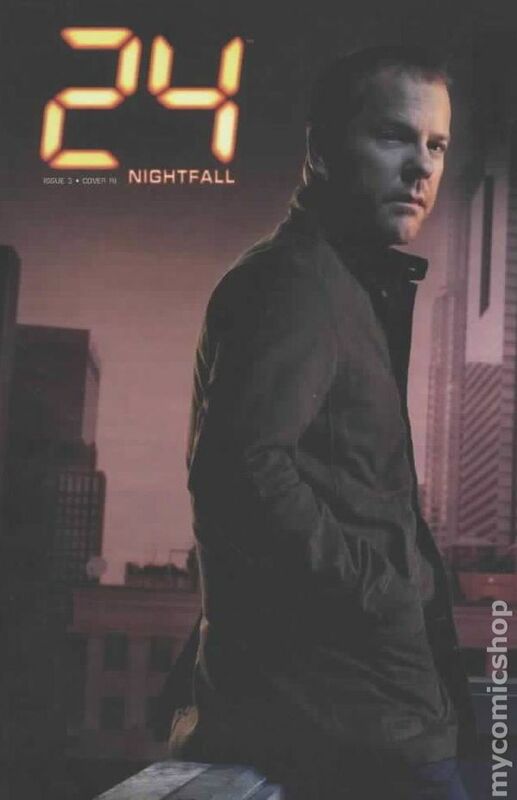 The first-ever 24 miniseries explaining Operation: Nightfall continues. Jack Bauer and his special ops unit were sent into Serbia to hunt down the mass murderer Victor Drazen, but now the team has become the targets. Can they complete their mission? Can they even escape alive? Find out in this original prequel mini-series based on the hit Fox series. 32 pages, full color. Cover price $3.99. Cover R1 PHOTO Incentive. Written by Mark L. Haynes and J. C. Vaughn. Art by Jean Diaz. 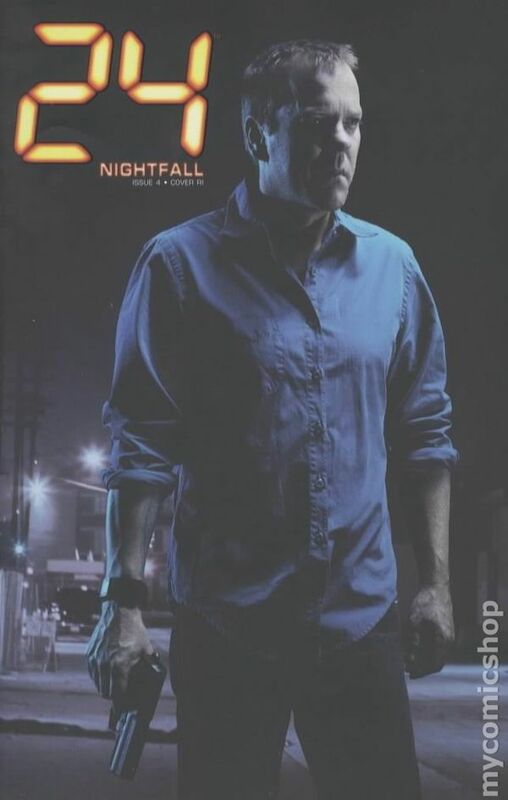 The first-ever 24 miniseries explaining Operation: Nightfall continues. Jack Bauer and his special ops unit were sent into Serbia to hunt down the mass murderer Victor Drazen, but now the team has become the targets. Can they complete their mission? Can they even escape alive? Find out in this original prequel mini-series based on the hit Fox series. 32 pages, full color. Cover price $3.99. Published Mar 2007 by IDW Publishing. Written by Mark L. Haynes and J. C. Vaughn. Art by Jean Diaz. 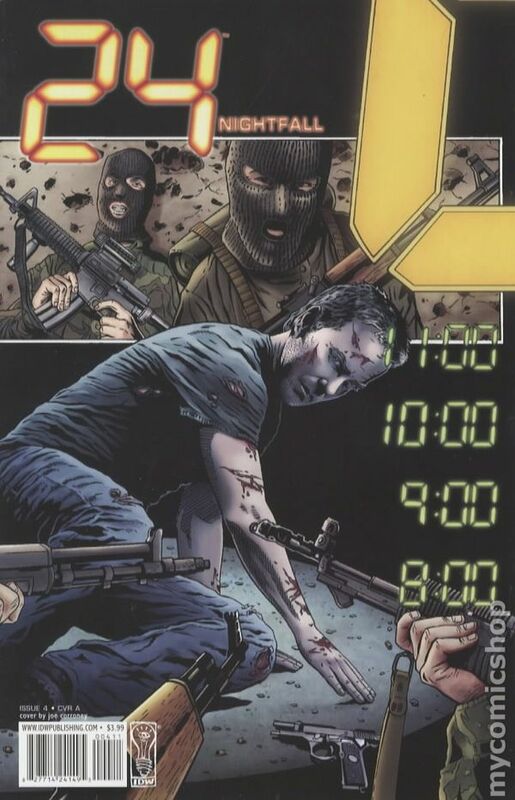 It's the action-filled epic conclusion to Operation: Nightfall as Jack Bauer and his highly trained special ops team try to confirm that they have indeed eliminated Serbian mass murderer Victor Drazen and escape with their lives in this dramatic prequel to Season One of the hit Fox TV series 24! 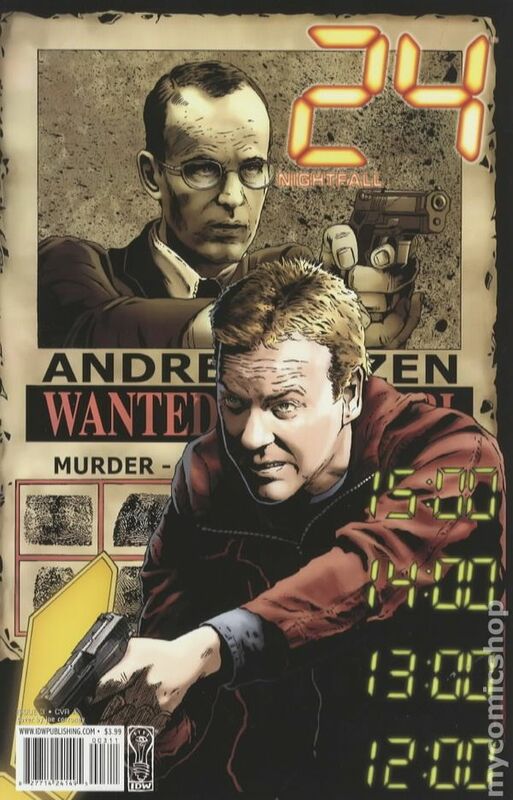 Joe Corroney (Spike vs. Dracula) provides two special covers which, combined with his other four issues' covers, form one huge Jack Bauer poster! 32 pages, full color. Cover price $3.99. Black and White Sketch cover. Written by Mark L. Haynes and J. C. Vaughn. Art by Jean Diaz. 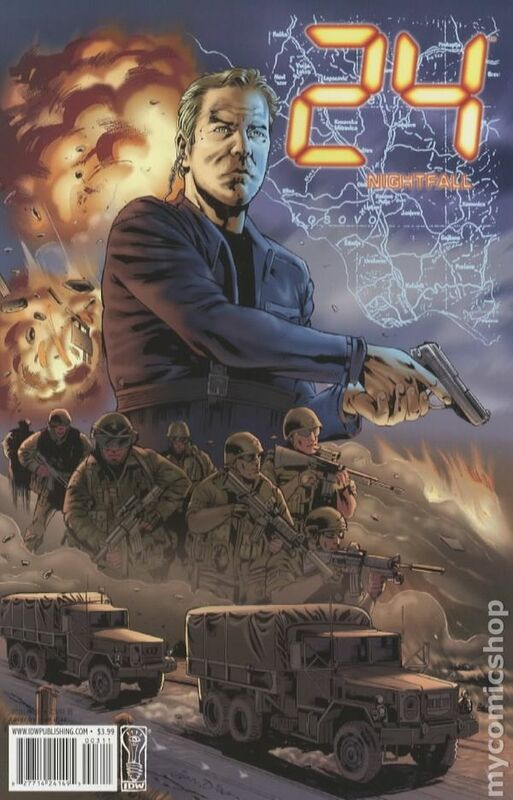 It's the action-filled epic conclusion to Operation: Nightfall as Jack Bauer and his highly trained special ops team try to confirm that they have indeed eliminated Serbian mass murderer Victor Drazen and escape with their lives in this dramatic prequel to Season One of the hit Fox TV series 24! 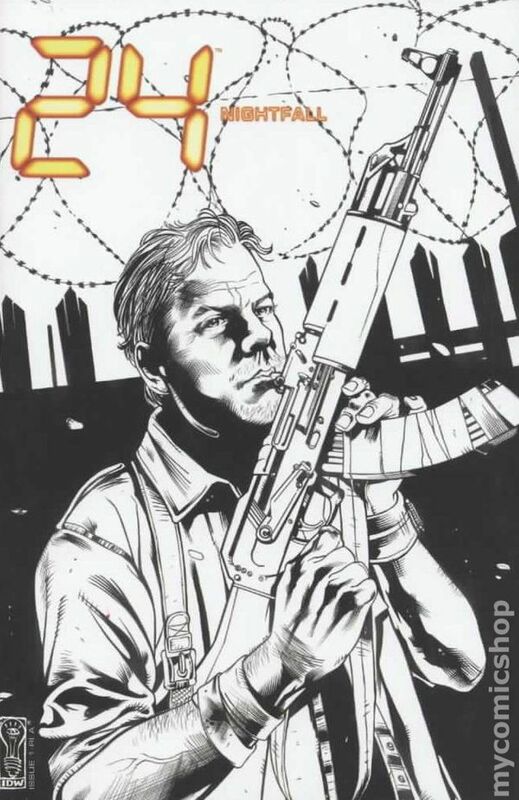 Joe Corroney (Spike vs. Dracula) provides two special covers which, combined with his other four issues' covers, form one huge Jack Bauer poster! 32 pages, full color. Cover price $3.99. CVR-R1 Joe Corroney Variant Incentive Cover. Written by Mark L. Haynes and J. C. Vaughn. Art by Jean Diaz. 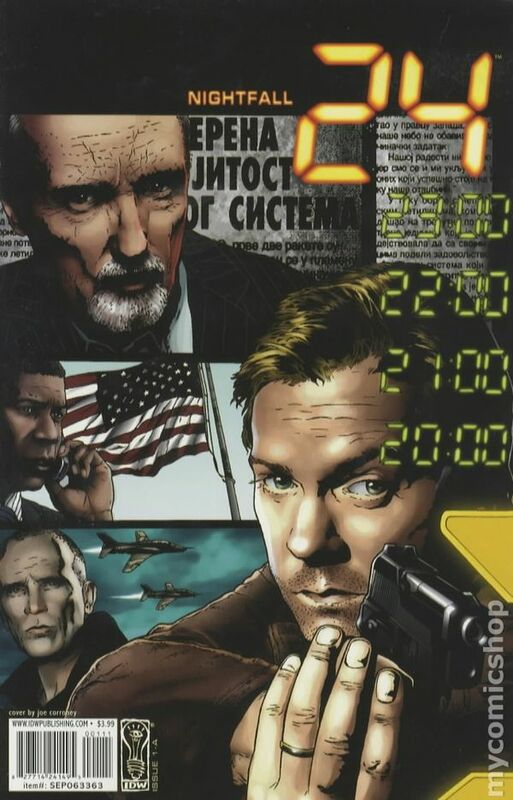 It's the action-filled epic conclusion to Operation: Nightfall as Jack Bauer and his highly trained special ops team try to confirm that they have indeed eliminated Serbian mass murderer Victor Drazen and escape with their lives in this dramatic prequel to Season One of the hit Fox TV series 24! 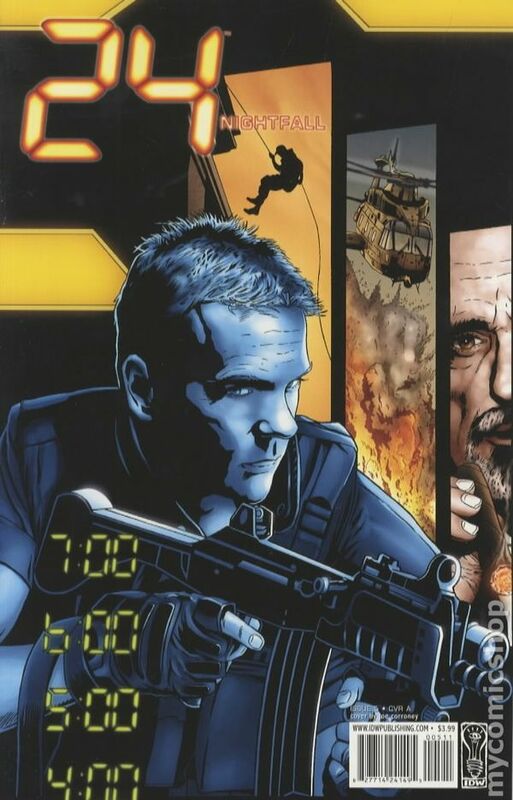 Joe Corroney (Spike vs. Dracula) provides two special covers which, combined with his other four issues' covers, form one huge Jack Bauer poster! 32 pages, full color. Cover price $3.99.